GROHE Power & Soul showers have been created with full appreciation of your moods and needs. 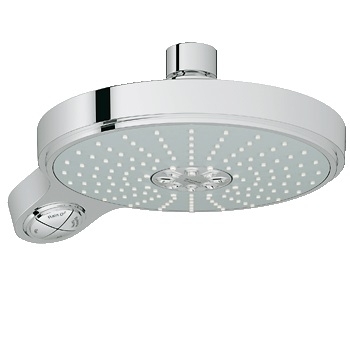 The GROHE Power & Soul Cosmopolitan and Contemporary series both include a 190mm head shower, which can be wall-mounted or ceiling-mounted depending on your choice of shower arm. Four innovative spray patterns: GROHE Rain O2, Rain, Bokoma Spray, and Jet offer a choice of tempting experiences. And with the introduction of the new One-Click Showering spray selector – switching between the four patterns has never been easier.